Mill Creek Nature Park, located at the end of Northview Street, in Narrows, Giles County, Virginia is a top secret, awesome mountain biking, hiking, fishing, town owned park in the New River Valley. Although now the secret is out! This 145 acre mountain property is managed by volunteers and the Town of Narrows. Causal family outings and technical mountain bikers can both find something to enjoy at Mill Creek. Be a tourist literally, in your own backyard and enjoy Mill Creek with friends and family soon. Access the large, level parking lot by traveling through the residential areas of Northview Street until it turns into the gravel road. Near the parking lot you’ll find a kiosk that has Visitor Guides [click link for large file Giles Guidebook] and maps. 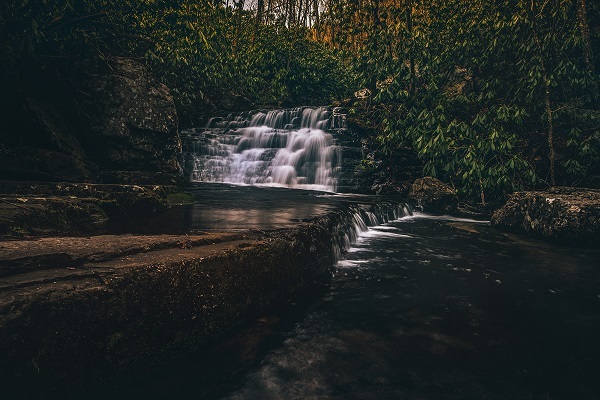 We also like Mill Creek Nature Park because there is a picnic shelter and open space to enjoy, plus all levels of trails to traverse while taking in the beautiful Appalachian Mountains. You can find Mill Creek on Facebook.com by searching Mill Creek Nature Park Site. 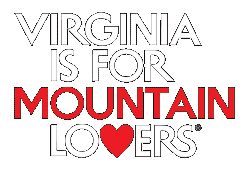 We didn’t even mention that there is a spur trail to the Appalachian Trail and easy access to downtown Narrows where you’ll find a brewery, gift shop, and historical lodging.